Unusual luxury mirror with black frame from designer brand, Eichholtz. 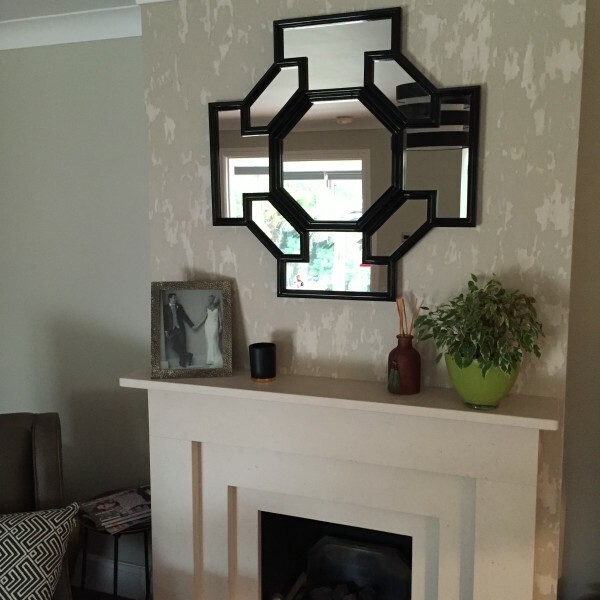 The Black Borromeo Mirror features an octagonal central mirror face surround by facted mirror pattern outlined in black. The stylish piece offers a contemporary twist on a timeless home accessory and will make a fine addition in your bedroom, hallway or living space.